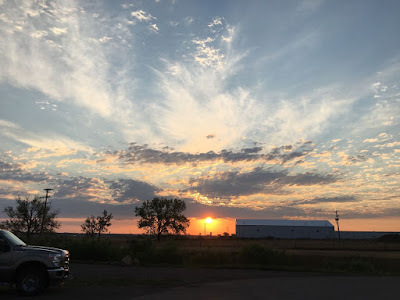 We arrive in Box Elder, South Dakota (between Rapid City & Ellsworth Air Force Base) with The Copilot behind the wheel. America's Mailbox RV Park is behind the Flying J, along I-90 and is basically a gravel lot. No shower house, no laundry, no shade, but there is wifi for $10 (we used our T-Mobile for streaming) and our reserved spot has full hookups (electricity, water, sewer). We paid double their normal rate, since it was Bike Week. 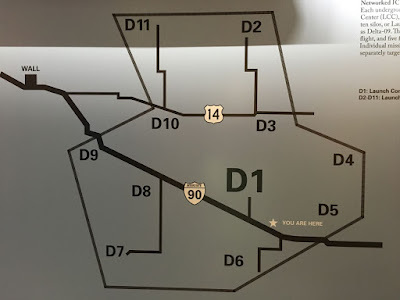 Nothing fancy but good location for running around since it was right on Business/Truck Route 16. 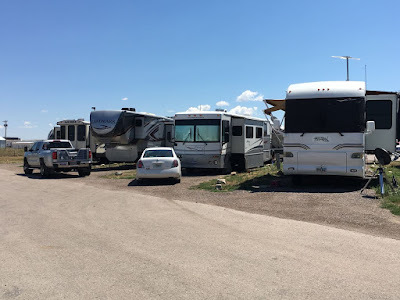 We’ve slowly climbed to an elevation of 3200 feet (the gas mileage on this tank will only be 8.0 mpg) The average high for our stay in late July is less than 80F but it's crazy windy (we never found our entry rug). 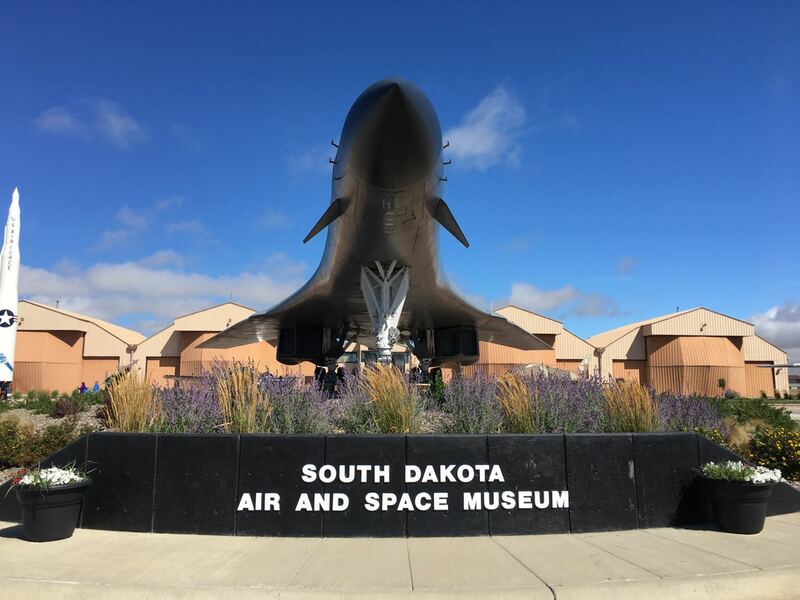 We rarely miss an Air & Space Museum but there are some unique sites in the area related to the Cold War Era. 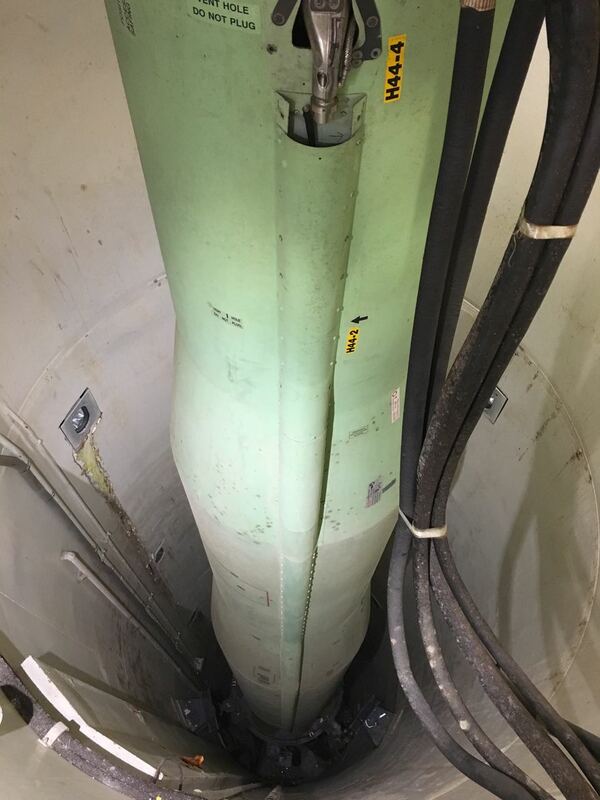 I recall "duck and cover" drills during school--like hiding under our desks would save us from a nuclear attack. The movie, "The Day After" was filmed in my hometown of Kansas City and was so controversial many parents wouldn’t allow their children to watch it (I did). To get in the mood for your visit, I recommend the movies: War Games, Red Dawn or Hunt for Red October. 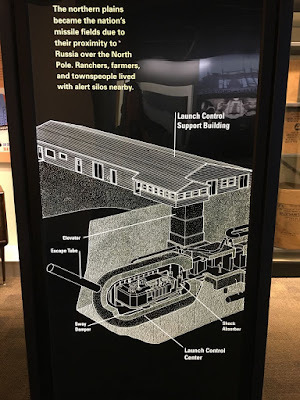 The Visitor Center along I-90 is a small, free, museum about the Cold War and has an overview of the Launch Control facility. 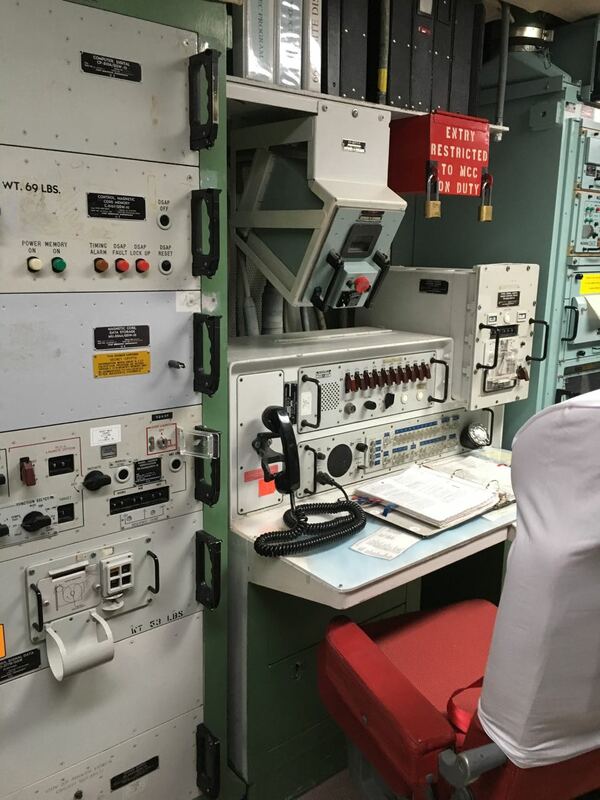 Ranger-guided tour of Launch Control facility: This used to be first-come, first-serve but now requires reservations ($9/each. My original reservations were a week in advance but we heard they were up to a month in advance from the Ranger. Monitor the website daily for cancellations--and click fast if you see any available! A woman tried to guilt me into handing over my tickets so they're whole family could go in together. Um, NO!). We walked through the living accommodations up top, then went down into the capsule, behind a 3 1/2 foot thick door. When decommissioned in 1993, they learned three missiles were pointed at this location and the Russians came to inspect after everything was decommissioned. 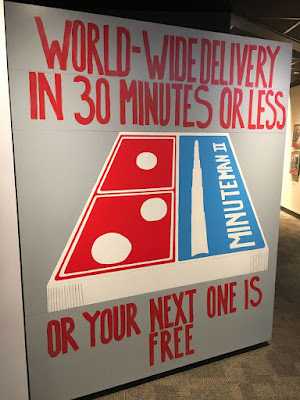 The treaty allowed us to keep this one launch center for historical purposes. Much like the aircraft nose art of World War II, the launch control's blast door was frequently painted by the crew. You can do an internet search to find more. 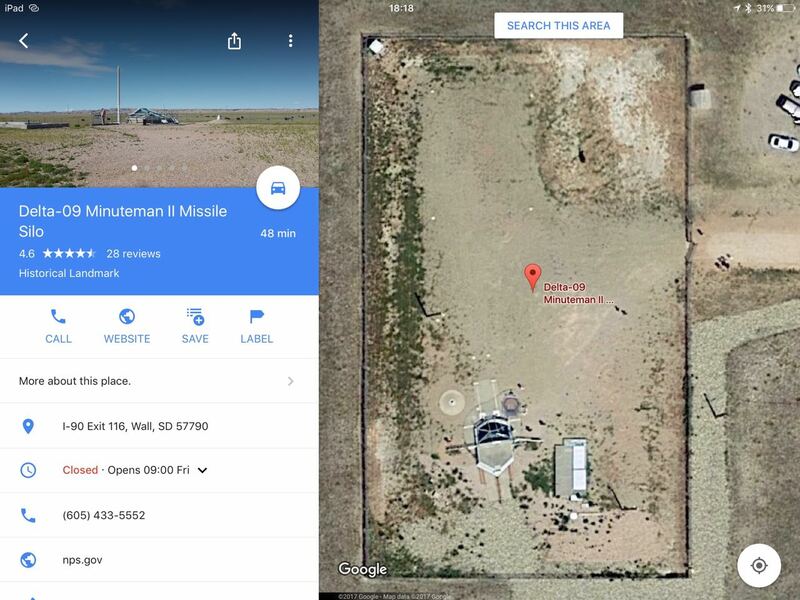 Exit 116 is an actual Minuteman Missile Silo that is no longer active. It is a nondescript, low structure right off of I-90. 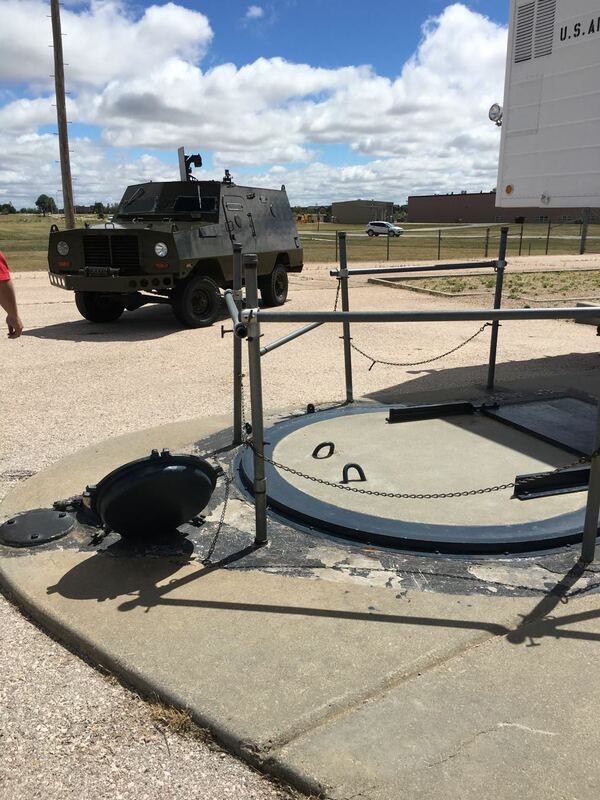 They have placed a glass dome over it, so you can look down the silo. This stop & the audio tour are also free. A park ranger is available during certain hours to answer questions. (We were told they had the lid off earlier in the day for a movie filming but it was back on when we arrived.) NOTE: Once you know to look for the silos, you can see them from the road, otherwise you drive right by. 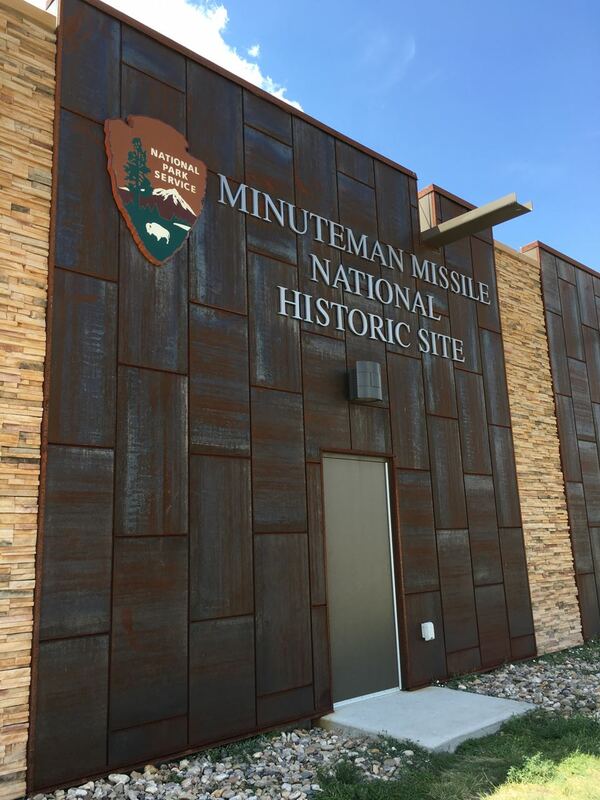 There are still Minuteman III silos active in the U.S. but not in SD. If you have time to spare, you can use Google Earth to look for other defunct silos that still reside on private land. One rancher later dug up the copper wiring to a tune of $75,000!!! 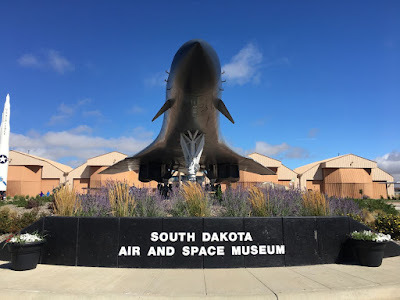 South Dakota Air & Space Museum is located just outside Ellsworth Air Force Base and is free! Built in 1942, it was the home of the B-17 bomber wing in World War II, followed by B-29 Superfortress and B-52 Stratofortress. 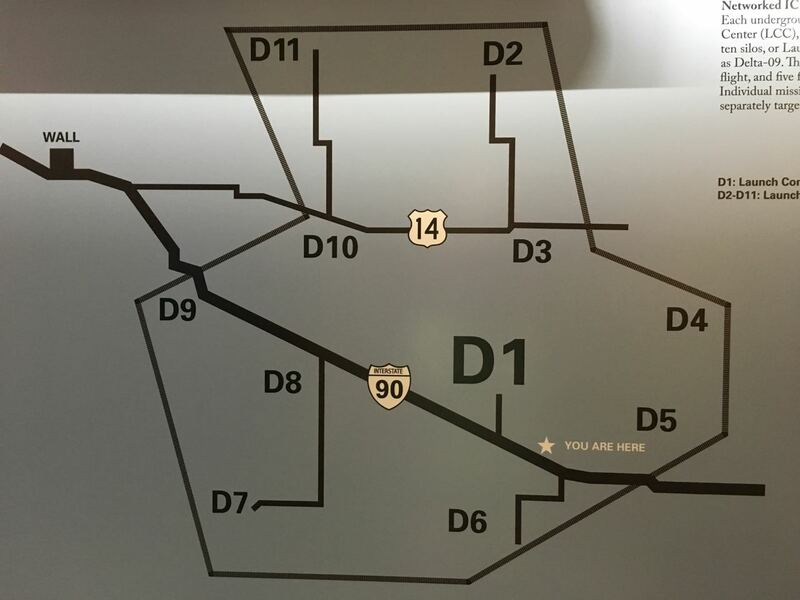 Ellsworth was also a Strategic Air Command (SAC) base. The only aircraft now based here is the B1-B (we were very fortunate to see them fly over twice). 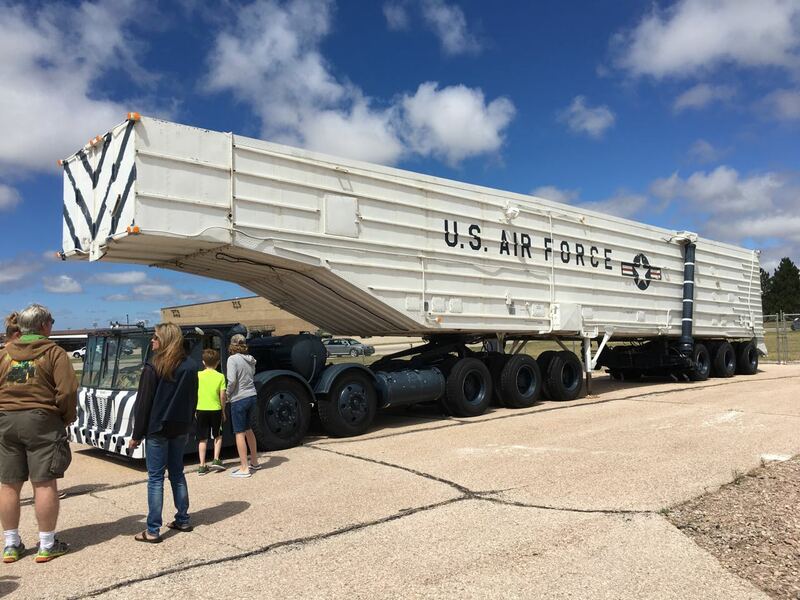 Ellsworth AFB bus tour: From the museum, you can take a $9/each bus tour of the base which includes going DOWN INTO the silo used for training maintenance personnel. 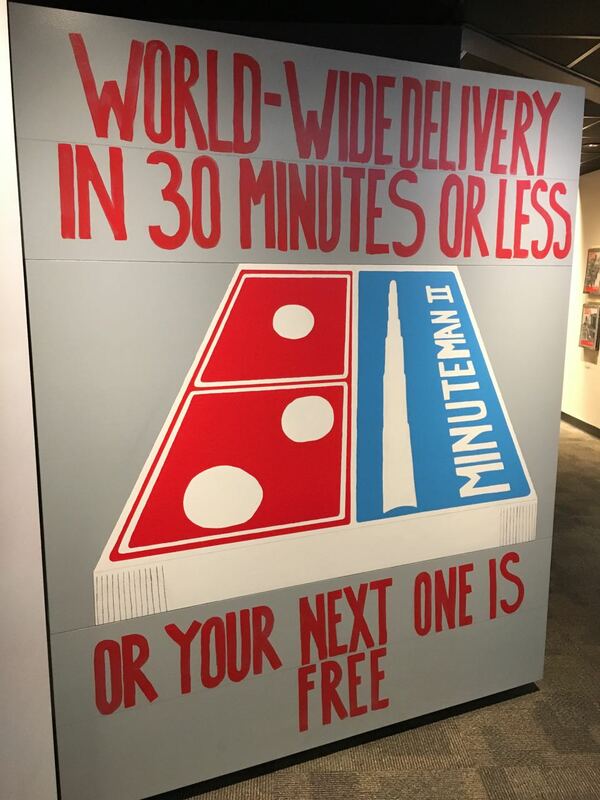 If you're tight on time, do the base tour first. (Bring an ID and be ready for a background check at the gate. Any outstanding warrants will get you arrested!) 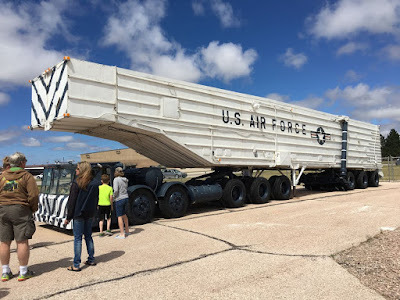 And yes, commercial aircraft have mistaken the AFB for the civilian airport with the same runway configuration ten miles away (No, I never landed here but I did fly into Rapid City a few times). Another free museum in Rapid City is the Museum of Geology at the South Dakota School of Mines & Technology. 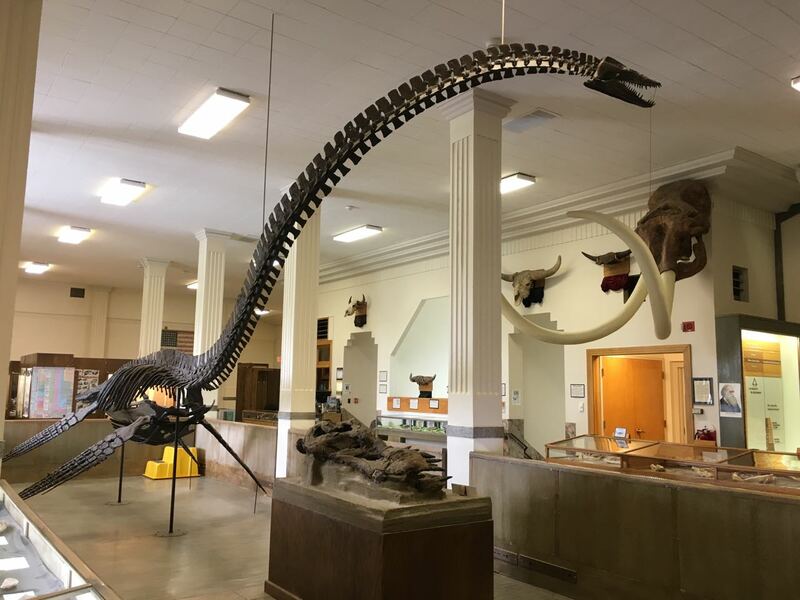 The collection of fossils, mostly from the Black Hills area is awe inspiring, with specimens still being unearthed in the area today. Their mineral collection includes samples from around the world. The school opened in 1885 and is historically significant for at least two reasons: 1) the gold mines in the area from the 1870's until 2002 when Homestake mine was closed. 2) The evolutionary theory that the Bering Land Bridge allowed people and animals across to the Americas from Asia. South Dakota lays right in that path of migration. The area was also underwater at one point indicated by the fossils of crab, lobster and other salt water creatures.